Whether you ride a Goldwing GL1500 touring bike for its reduced weight, easy handling, power, or its great looks, when you want to add aftermarket Honda GL1500 Parts and Honda GL1500 Accessories, you’ll find what you need right here! Why buy your Honda GL1500 Parts and Honda GL1500 Accessories from Cyclemax? 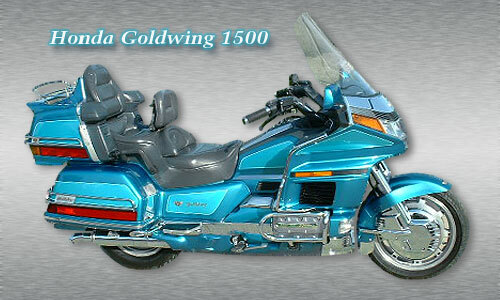 • Our inventory of Goldwing 1500 Parts and Goldwing 1500 Accessories is always increasing — so check back often! If you’re lucky enough to own a GL1500, you can easily customize it with Honda GL1500 Parts and Honda GL1500 Accessories and turn it into a real show bike. Or maybe its time to replace or upgrade just the basics? No matter what you're looking for, you’ll find the best prices and selection right here. See you on the road!